60? X 72? 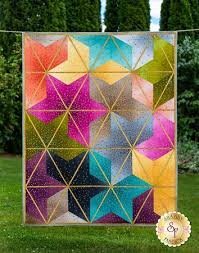 This beautiful quilt uses 9 different ombre fabrics by Krista Moser. Also utilizes the Creative Grids 8-1/2? 60? Diamond Ruler.